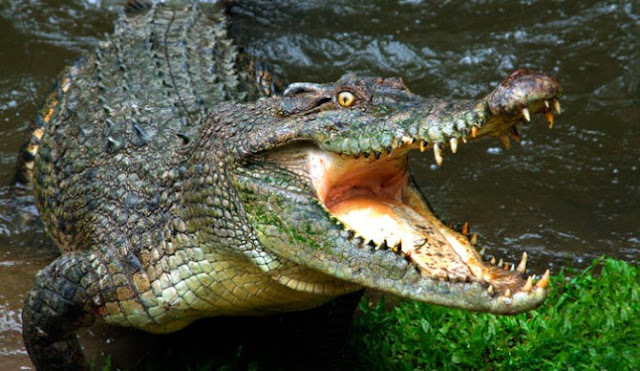 A Russian tourist has been reportedly killed by a crocodile in a popular diving site in Eastern Indonesia, an official said Saturday. Budiarto told AFP that rescuers spotted a large saltwater crocodile trailing behind Lykhvar’s body when he was discovered. “We believe he was killed by a crocodile judging from the missing body parts and the extent of his injuries,” he said. He added that the location where Lykhvar’s body was retrieved was quite remote, and dangerous because of the strong currents and sharp rocks. The Russian tourist’s body was later taken to Sorong, about a two-hour boat ride away from Raja Ampat. His was body cremated as per his family’s request. “We are still communicating with the Russian embassy, from what I’ve heard his family would come to pick up his ashes in Indonesia,” Budiarto said.